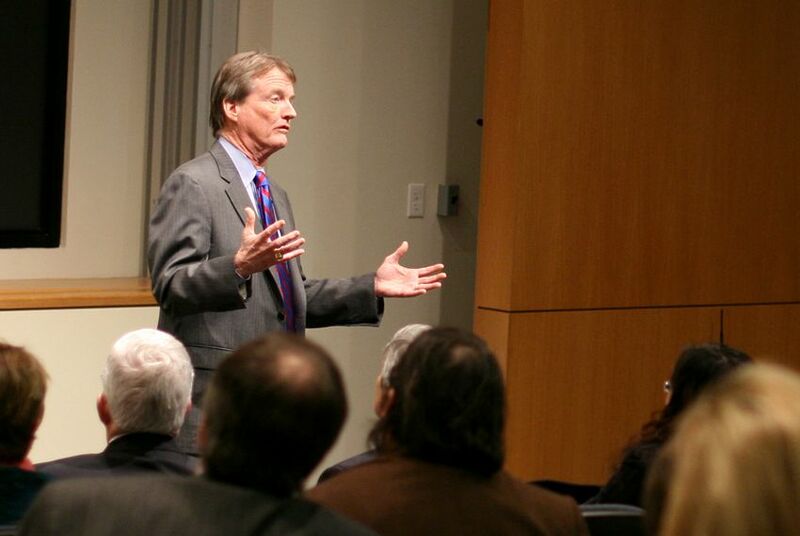 UT President Bill Powers and Regents Chairman Gene Powell slammed a controversial study that found that if some UT-Austin professors were more productive, tuition could be cut by as much as half. Before the University of Texas System released an 821-page draft document showing faculty members’ salaries, research expenditures and total numbers of students taught, among other pieces of data, Dean Neikirk, the chair of the University of Texas at Austin Faculty Council, sent a note to his colleagues. He was right. This week, the conservative, Washington, D.C.-based Center for College Affordability and Productivity released a study titled “Faculty Productivity and Costs at the University of Texas at Austin,” and its findings did not cast the university in a positive light. Administrators, meanwhile, say the analysis is premature. Using the data released by the system, the study suggests that even a “moderate increase” in faculty emphasis on teaching at the flagship campus could generate significant savings. In fact, it asserts that if the 80 percent of faculty with the lowest teaching loads were to teach half as much as the 20 percent with the highest, tuition at the university could be cut in half. Richard Vedder, the director of the center and the lead author on the study, said he was expecting to see disparities among professors’ productivity — a problem he said is typical at all large research universities — but not at the “breathtaking” level he found at UT-Austin. According to his analysis, 20 percent of the faculty teach 57 percent of the semester credit hours. That same quintile also accounts for 18 percent of research expenditures, which Vedder says contradicts the notion that an emphasis on teaching would harm the university’s research mission. UT President Bill Powers and Regents Chairman Gene Powell have both noted this in questioning Vedder’s efforts. Powell said, “It is unfortunate that those individuals interested in analyzing the data have chosen to draw and publish conclusions based on the raw data prior to the data being verified or cross referenced." In the conclusion of his study, Vedder conceded that the study may need to be extended and revised as corrections to the data are made. “If it has to be refined, refine it,” he told the Tribune. Even so, the study caught the attention of lawmakers. State Sen. Dan Patrick, R-Houston, said it underscores his line of questioning to universities, which seeks to get at the value of research. Lawmakers and the communities at Texas universities have been engaged in a debate about a controversial set of "breakthrough solutions" proposed by the Texas Public Policy Foundation that prescribe a certain route to greater productivity and increased emphasis on teaching. Vedder is a senior fellow at the foundation, which is an honorary unpaid post. He says he had no contact with the organization before publishing his study, though he acknowledged that they would likely appreciate his conclusions. Meanwhile, as the UT community deals with Vedder’s analysis, Texas A&M University is dealing with another unflattering study recently covered by the Chronicle of Higher Education. Based on money spent on research per paper published between 1989 and 2004, A&M ($128,269 per paper) was found to be the second least productive research university in the nation behind Johns Hopkins University ($185,811). A&M's administration is no more impressed with this study than UT is with Vedder's.